The 60s sub camp had a busy but active first day on Saturday making sure that all our contingents had arrived safely and found their correct camping site for the week. 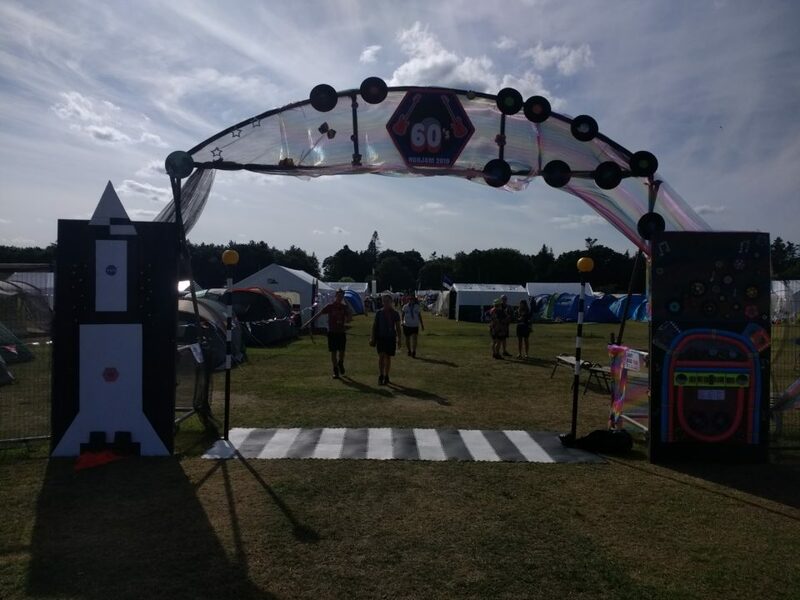 After a long, but busy few days before the Welcome Ceremony, the 60s official groovy gateway has been completed. Our gateway represents a popular album by the Beatles, ‘Abbey Road.’ This is a zebra crossing with illuminated flashing beacons. On the side of the gateway we have a NASA rocket, this is because in 1969 the Apollo 11 lander held the first human to set foot on the moon. The final side concludes as a 60s style musical jukebox. Our 60s contingents have also been busy making their gateways/props and their personalised record plaque to finally be located on our official gateway, based on a 60s theme. 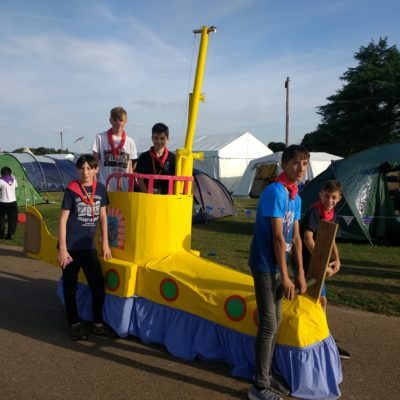 Guides and Scouts Challenge Story- on the 60s sub camp we have been challenging you to write your own story for The Norticle. 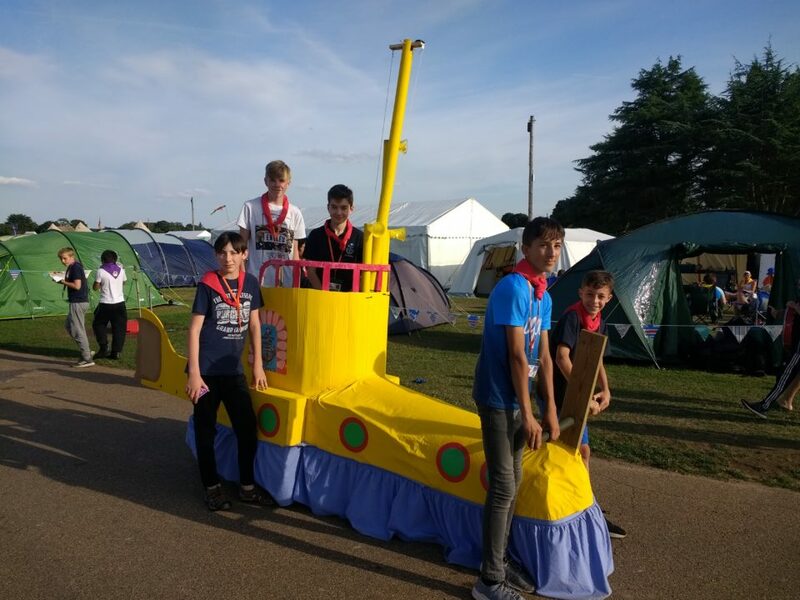 Tristan, 12, & Josh, 11, from 16th Norwich Sea Scouts, were the first to take up the challenge. “We found some pegs on the floor. We picked them up and on them they explained to take them to Bowthorpe Guide group to receive a prize. We took on this challenge, and we looked in the 70s sub camp, where we found my Dad’s friend taking a selfie. We asked them if they knew where the group was located but they were no help!